Brilliant and personal exploration of a violinist’s cultural heritage…Jennifer Pike has a bloodline to this repertoire via her Polish mother but hasn’t simply rested on genealogy, absorbing Polish culture and travelling to the Tatra mountains for this disc. Her affinity with Polish expressionistic melancholy is evidenced by deep, personal playing at low registers and a striking harbouring of the sort of ecstatic rapture Szymanowski brings to the high ones. Pike’s engagement with his scented world is made more of rapt rather than neurotic intensity, with touches of fragility, idiosyncratic little glissandos and some exceptional instances of focus. There is every challenge in the book…but in none of those technical challenges does Pike sound anything other than lost in the music. With so many recordings of The Lark Ascending available, a new one has to offer something special to soar clear of the crowd. Jennifer Pike’s playing – at once forthright and beautifully yearning…. 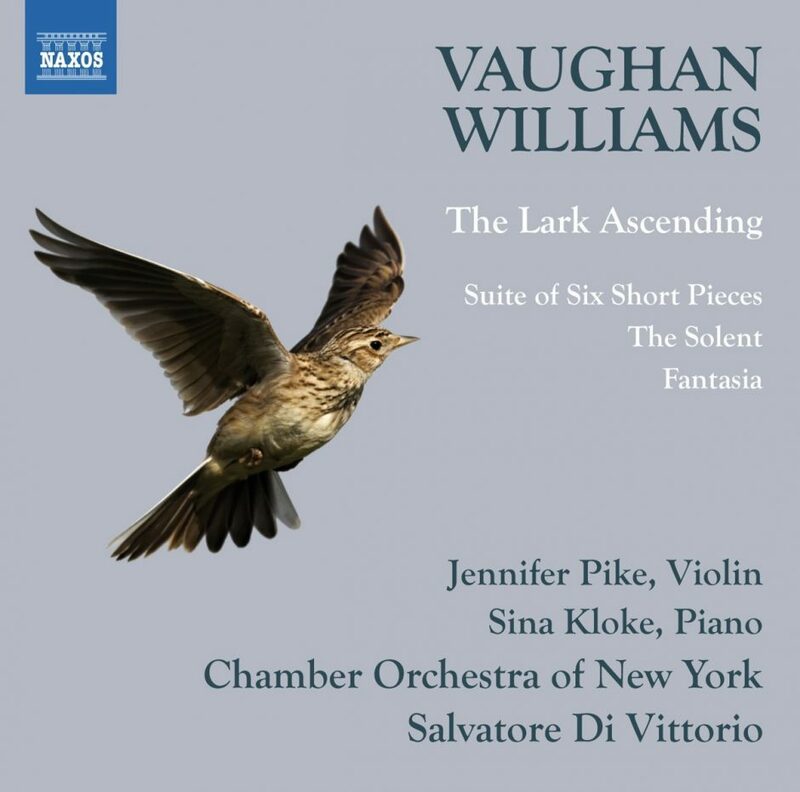 Pike’s soaring Lark is a masterclass in expressive free flight…Jennifer Pike opens The Lark Ascending with delicacy and grace, her vibrato contained and expressive. As she moves into the first melody, that vibrato occasionally stops altogether, leaving pure, expressive notes within the exquisite soundscape. This whole first section is a masterclass in how to structure an extended musical paragraph. The young players of the Chamber Orchestra of New York then come into their own with some fine solo playing, particularly from the flute, as Pike pirouettes lissomly around them (the recording is clear and well balanced). Her playing is clean and fluent, each note perfectly focused and placed. Her double-stopped allargando phrases weaving down in 5ths (mostly) are magical. She has the gift of making time stand still, even as the music flows forwards. The final cadenza is sublime, as the Lark ascends to top B and disappears. This is the last work on the disc, as it should be: no one would want to hear anything else after that.